Three South Hills School of Business and Technology students competed in a national leadership conference in Maryland recently. Pictured, from left, are Bryant Moses, Jamey Shreckengast and Tess Bechdel. 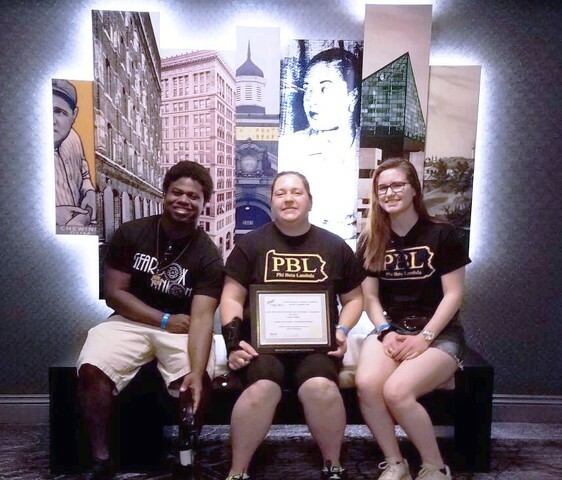 STATE COLLEGE — Three members of South Hills School of Business & Technology’s Phi Beta Lambda club qualified to compete at the PBL National Leadership Conference in Baltimore. PBL is a collegiate business organization that strives to develop a new generation of leaders, according to a press release. Facing some of the top qualifiers from across the country, the team of Bryant Moses and Tess Bechdel, both first-year business administration-management and marketing students, placed 12th in the nation in hospitality management. First-year administrative professional student Jamey Shreckengast also competed at the national level in the field of administrative technology. In addition to the competition, the students attended informational workshops in leadership and networking. The South Hills PBL chapter received the first-place award for having the largest local chapter in the eastern region.